During testimony in front of the House Intelligence Committee Wednesday, former Homeland Security Secretary Jeh Johnson said federal authorities, including those from his Department, offered to help the DNC combat Russian hackers but were rejected. "I pressed my staff to know whether DHS was sufficiently proactive, and on the scene helping the DNC identify the intruders and patch vulnerabilities. The answer, to the best of my recollection, was not reassuring. The FBI and the DNC had been in contact with each other months before about the intrusion, and the DNC did not feel it needed DHS’s assistance at that time,” Johnson said. As you'll recall, Wikileaks published thousands of hacked DNC emails containing embarrassing information about the Clinton campaign. 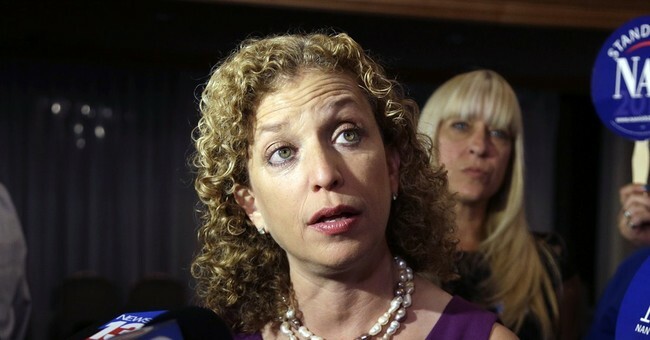 The emails showed collusion between CNN's Donna Brazil and Hillary Clinton ahead of a presidential debate and revealed Wasserman-Schultz did her best to rig the primary system against socialist candidate Bernie Sanders. Congressman Trey Gowdy, who sits on the Committee, is baffled as to why DNC officials wouldn't take Johnson up on the offer and wonders what they may have been hiding. In the aftermath of their loss to Donald Trump in November, Democrats have cited the email hack as a main reason why they lost, yet still haven't turned over the DNC server for investigation or analysis.